Mueller: VW has a "good chance" of rebounding from the emissions scandal in two to three years. BERLIN (Reuters) -- Volkswagen Group needs to adjust its overall strategy through 2025 as it cedes more power to brands and regions while pushing an investigation of the emissions scandal, CEO Matthias Mueller said. VW has a good chance of rebounding from the scandal, Mueller said on Thursday in a speech to managers in Leipzig. "We have a good chance of shining again in two to three years," he said. "We will significantly streamline structures, processes and [decision-making] bodies. We must become leaner and take decisions more rapidly," Mueller said of his recovery plan. "Our competitors are only waiting for us to fall behind on technology matters because we are so preoccupied with ourselves. But we won't let that happen," he said. 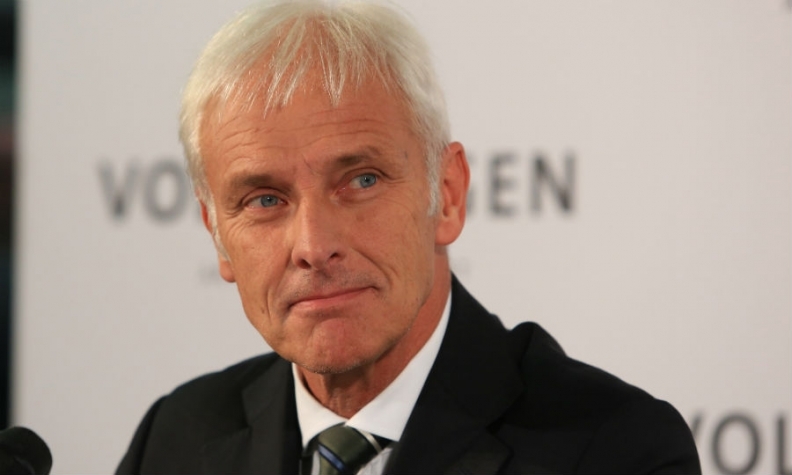 Key points of VW's Strategy 2018, the blueprint of the carmaker's push for scale and quality drawn up under former CEO Martin Winterkorn, remain valid, Mueller said. VW faces a "large need for change," Mueller said, according to a transcript of his speech. "I don’t think much of revolution. And the Volkswagen group doesn’t need one. What we need is courage to act consequently, the will to change." VW has said up to 11 million of its diesel vehicles worldwide could have cheat software to fool pollution tests. VW said on Thursday it will recall about 8.5 million vehicles affected in the European Union following an order from Germany's KBA motor transport authority, which is taking the lead for other national EU regulators.